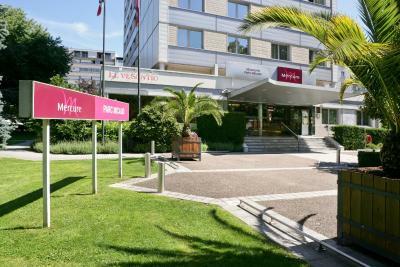 This was our second time staying at the Mercure in Besancon. 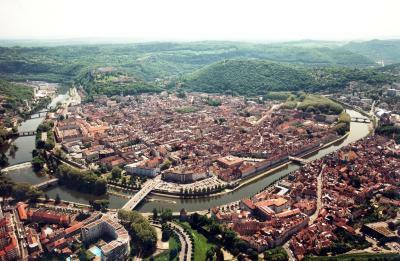 It's in an ideal position to visit the city with the tourist information centre just 200m down the road and a relatively easy walk to the citadel if you're reasonably fit. 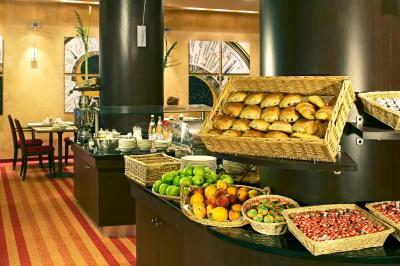 The hotel restauarant is good and compares well in price and quality with those in the city. Accommodation is excellent. Location and value for your money. Breakfast was great. The view was fantastic and there was a park across the street, where we could walk our dog ... and the reception very smiling and helpful. Le petit déjeuner il y en a pour tous les goûts. Le lit très confortable. 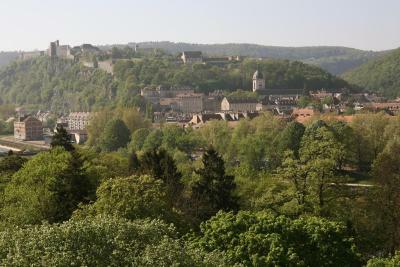 Et la vue sur le Doubs et la citadelle. Bonne situation en voiture. Facilités de parking. Chambre très grande avec un grande baie et une très belle vue Et bien sûr un entretien parfait. Le confort, l accueil, le calme, le parking, la literie, le petit déjeuner. 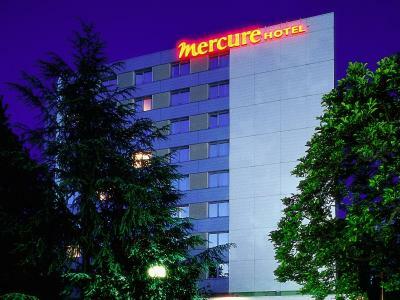 This Hotel Mercure is located in the city center of Besancon in the casino garden on the Doubs River and opposite the Micaud Park. There are 91 air-conditioned guestrooms, 78 which are nonsmoking, equipped with clean, private bathrooms and flat screen satellite TV. 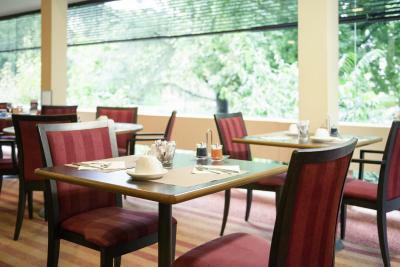 The hotel restaurant, Le Vesontio, serves traditional cuisine and offers a splendid view of the casino gardens. 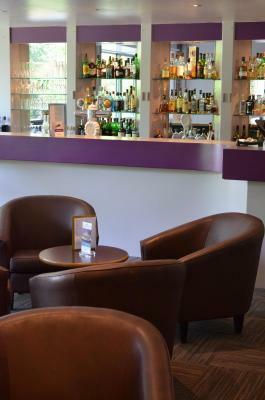 L’Instant, the hotel bar, is open until 23:00. There is a casino, a fitness center and a karaoke bar within 1.9 mi from the hotel. 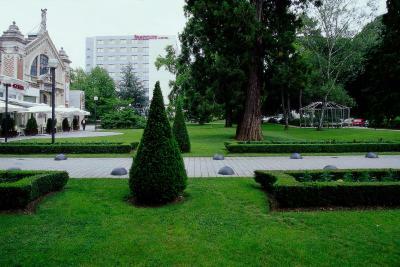 When would you like to stay at Mercure Besancon Parc Micaud? 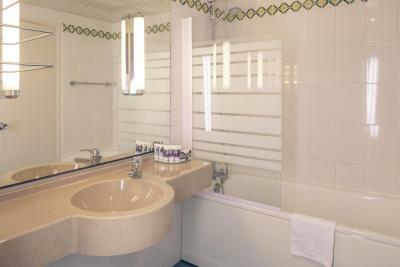 This air-conditioned room with garden views offers a private bathroom with a bath and a flat-screen TV. 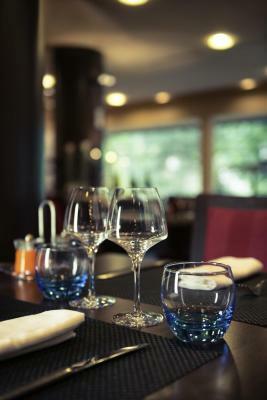 House Rules Mercure Besancon Parc Micaud takes special requests – add in the next step! 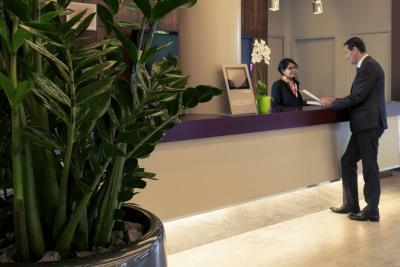 Mercure Besancon Parc Micaud accepts these cards and reserves the right to temporarily hold an amount prior to arrival. A fee will be charged for late check-out. Please note that the restaurant is closed on Saturdays and Sundays for lunch. 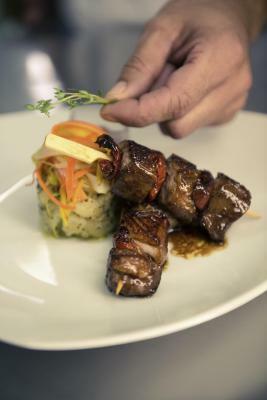 Room service is not available on Saturdays and Sundays at lunch time. Old smelly room. Very inexperienced reception staff, but friendly. The hotel is old and definitely needs some TLC. Checkout was bad: It took 20 minutes to correct by bill. I had two different rooms and both were not up to my expectations of a four star hotel. Free parking. Close to old town. The room was a bit "tired" and the restaurant mediocre. Breakfast was ok though. 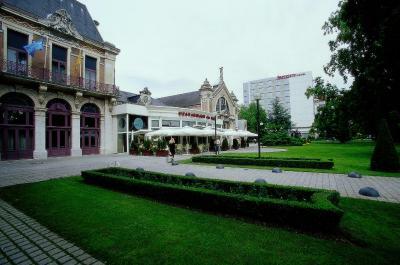 The hotel is located across the street from a small park, next to the river, not far from a tram station and Casino is next door. Has an elevator. Front desk people were very helpful ( spoke English).